TheYoungTurks has uploaded Teen Girls Beat Mentally Ill Woman, Post Video On Facebook. 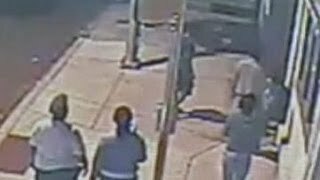 "A group of teens violently attacked a mentally challenged woman at random in Chester and recorded the entire incident on tape. During the vicious attack, which was later posted on Facebook, the teens could be heard screaming obscenities and even laughing. Police say on Thursday morning, an anonymous Chester resident alerted police of the taped incident that was apparently posted on Facebook...". * Should they be tried as adults? Ana Kasparian, Cenk Uygur, Ben Mankiewicz, Jesus Godoy, and Jayar Jackson break it down on The Young Turks. You were sent this email because you chose to receive updates about new videos uploaded by TheYoungTurks. If you don't want these updates anymore, you can change your preferences by visiting My Subscriptions.